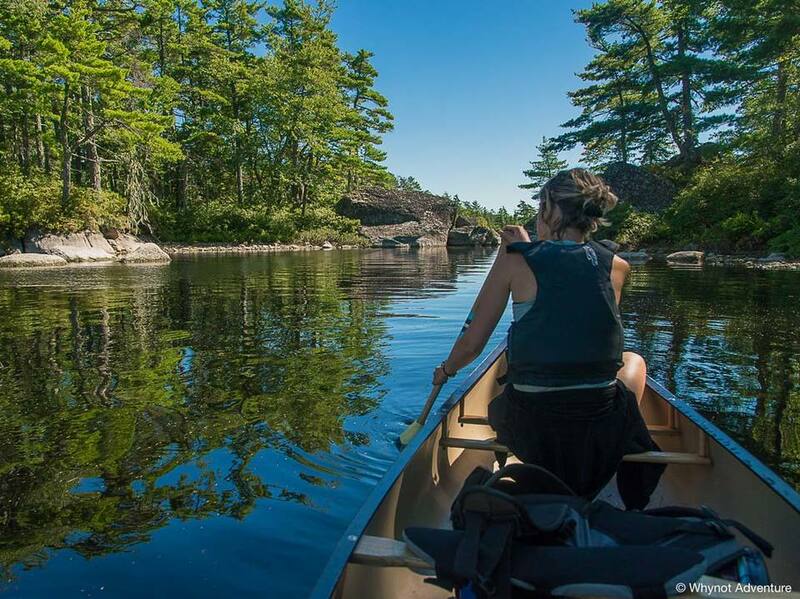 Explore Kejimkujik National Park's classic 3-day canoe adventure. This route has been traveled by many over the decades and for good reason! Comfortable campsites are connected by a system of small picturesque lakes and rivers dappled in green. Campsites are spaced apart so quite often it feels as though we're the only one's travelling through that wilderness. 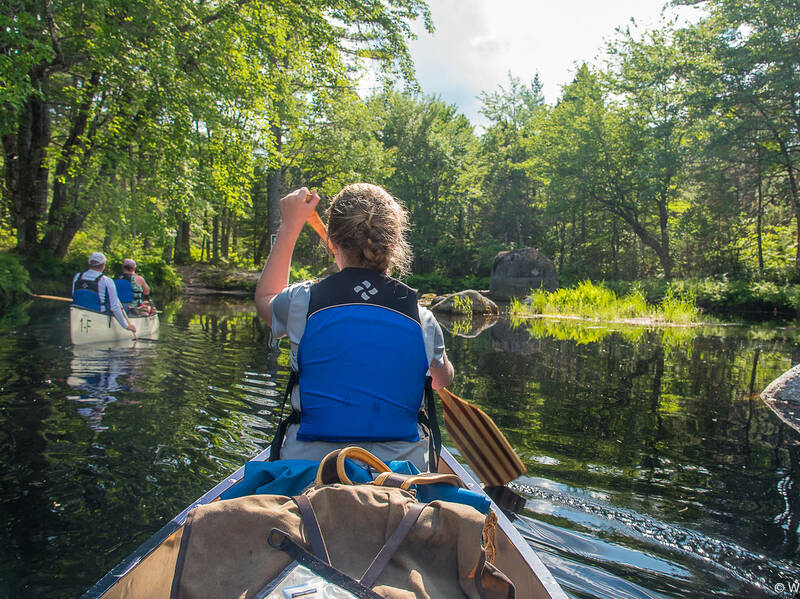 This is a fully guided 3-day backcountry canoe adventure. This route involves about six portages, none of which are overly taxing, but none of which would be innocent of building your appetite (you will break a sweat). A moderate level of physical activity is required, however no prior experience or skills are needed. Join your guide at Jake’s Landing where we'll pack the remainder of the trip, have a quick lunch and shuttle to the Big Dam parking lot. 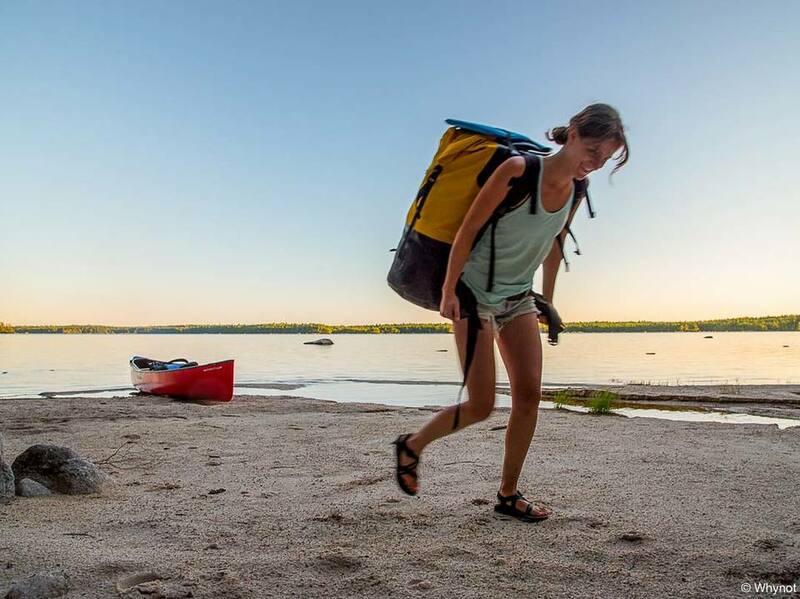 A short portage away and the fun begins at Big Dam Lake. We usually take a relaxing pace for the remainder of the afternoon and end up on Frozen Ocean Lake for the night. On hot days we might swim from a canoe flotilla, or catch some shade and a snack under an old growth hemlock tree. 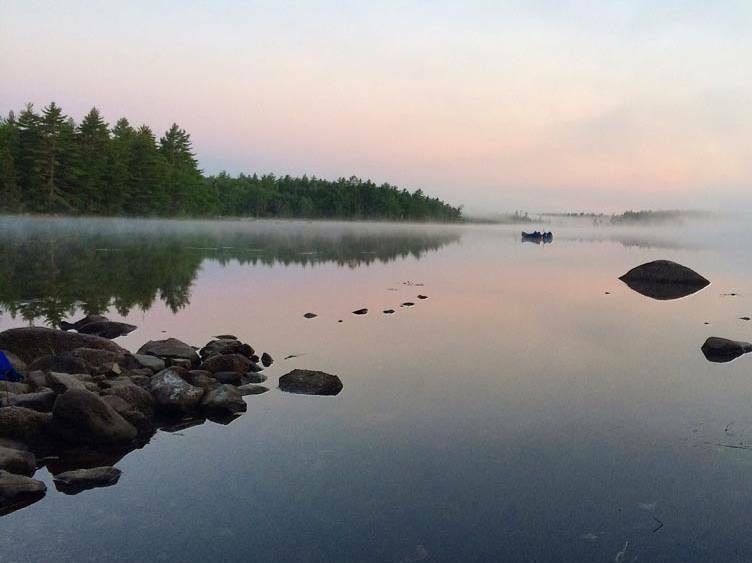 Our second night is typically anywhere between Little River, West River and Keji Lake. We aim to blend luxury and comfort with Nova Scotia’s unforgettable landscape to create an adventure perfect for anyone to enjoy. This trip is especially suited for families, and one of the best aspects is that this is a loop, allowing you to finish back at Jake’s Landing where you started (and parked your car!). July 19th - July 21st - SOLD OUT! August 23rd - August 25th - Lots available! 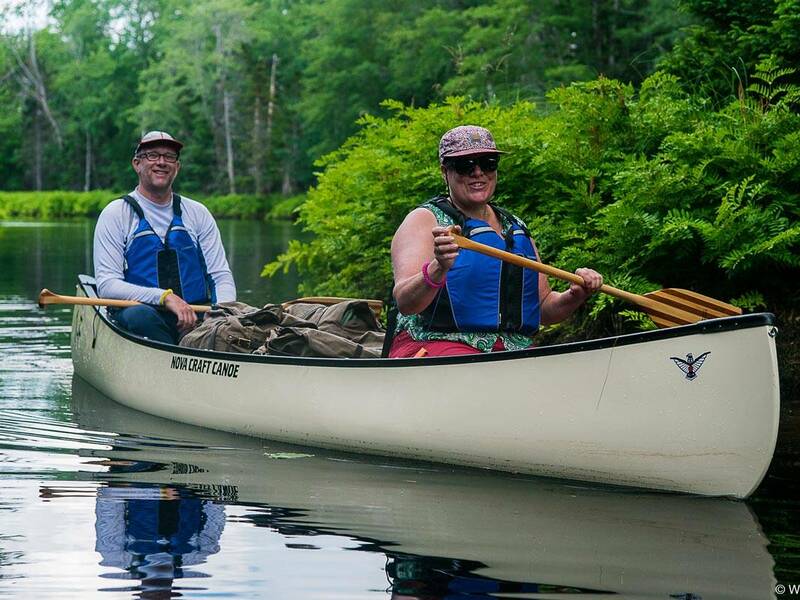 Booked an early season 3 day 2 night guided canoe trip with Whynot Adventure. Before booking Cody was very helpful with providing information and answering our many questions. 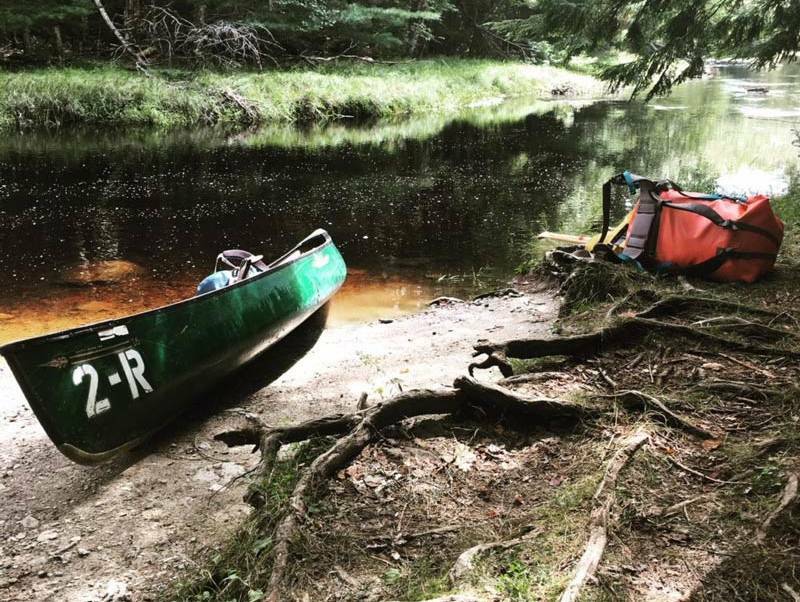 When we arrived in Jake's Landing to start the trip, everything was ready to go as promised and we headed out to our first portage and start of the canoe trip. The paddling was relatively easy although we did not experience any high winds which could make some paddling more challenging. Portages between lakes were well maintained and had canoe rests on the longer portages. Our tent and sleeping bags provided by Whynot were high quality and kept us dry during a rainstorm on the first night. Food was excellent and plentiful. There was certainly no risk of going hungry. The camping sites selected were beautiful and Cody our guide was very knowledgeable about the flora, fauna and history of the park. We came away with some great memories and highly recommend the trip to anyone looking to get away and see a beautiful part of our country by canoe. 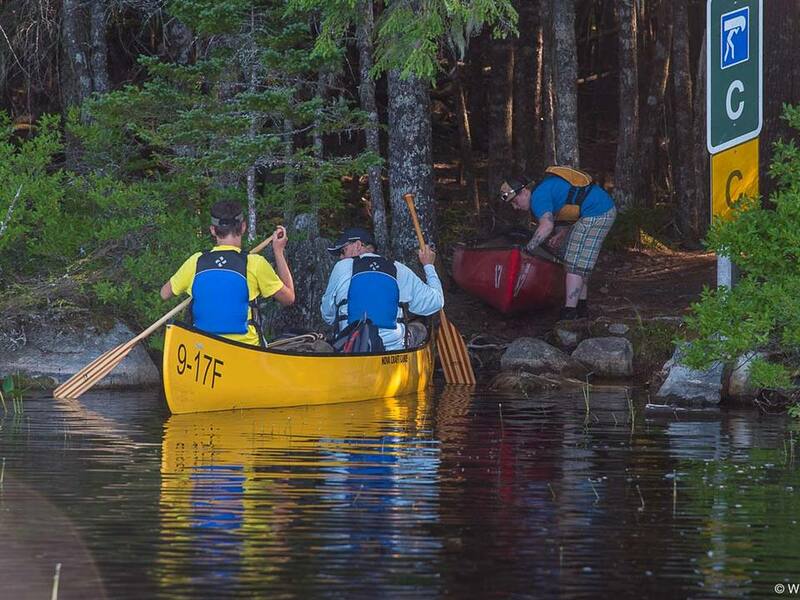 We had an extraordinary canoe adventure organised by Whynot Adventure in the Kejimakujik Parc. The 3 day tour was excellently organised and professionally guided by Cody, who brought us the nature and the whole environment of the parc closer. They provided everything, furnished great material and prepared even outstandig food. Though we were not at all experienced with canoeing, we always had fun and felt safe - even during rather difficult weather on the lake. The whole family enjoyed the tour very much - and we will carry the spirit of Kejimkujik in our hearts. If you will ever have the chance to go for a trip with Whynot Adventure- go for it or you will miss a great opportunity! These are some of our latest pictures from the Frozen Ocean Canoe Trip! 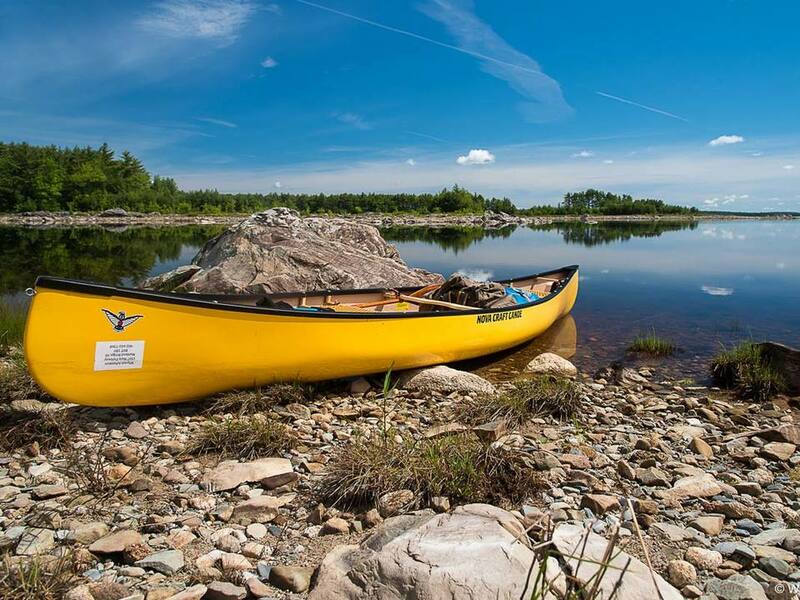 The Frozen Ocean canoe trip is a mix of gentle rivers, lakes and portaging. Early season can be extraordinarily lush. Just wrapping up the final portage of the trip. The dark colour of the water is totally natural- the tannins from the broadleaf trees will stain the water- we like to call it Keji Tea. A misty sunrise is hard to beat. Especially when you're floating on glassy water.